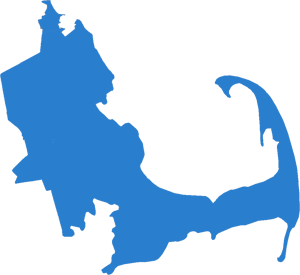 I am Paul Lorrain… a Cape Codder for 50+ years and a licensed electrician for 30 years. With the demise of so many spa companies there was a growing demand for an honest, knowledgeable plumbing and electrical expert with the skills to repair and service the many varieties of hot tubs and whirlpool baths. As this need became more apparent I began Professional Spa Service from my Centerville home 25 years ago offering my customers the experience and reliability at the lowest possible cost. I have relocated Professional Spa Service to Plymouth, Massachusetts, but you can find me from Pembroke to Provincetown. Over the years many customers have expressed their satisfaction with my spa services, please take a moment to read some customer testimonials. I am so glad to have called you to fix my hot tub. You figured out the problem none else seemed to be able to find! Your ingenuity and quick work saved my "valentine party" and we are so grateful. You are now my only hot tub repairment! Thanks again. 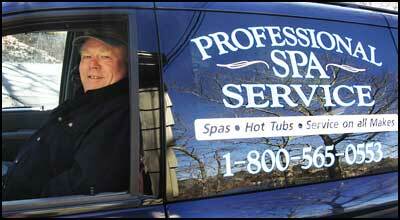 Paul of Professional Spa Service is an honest and reliable professional. He is the best we have found to work on, maintain and repair out hot tub. He is honest and trustworthy. I can think of no finer person in his field. I consider myself very lucky to have Paul and his company take care of our spa. Professional Spa is always there when I need them. Paul gives quality service at a resonable price. Paul Lorrain has helped us with our spa several times. Always a great job. We don't hesitate to reccomend him to our friends with spa trouble too. Always prompt and fair prices, we make Paul our first call when ever we need his services or just have a question. Whenever I call Paul, his response is always the same, NO PROBLEM. I swear the man can do anything! I've been in my home 8 years and I've never called anyone else for help with the spa. He is reliable, effiecient, reasonably priced, and a very hard worker. No matter what the problem is, he's always able to figure out a solution. "If you want the work done right the first time, Paul Lorraine is the man for the job. He save me a lot of money by repairing a piece that someone else tried to tell me that I needed to buy a new one." "I've used another spa repair man in the past and there is no comparison. Professional Spa Service was so much better. The problem was fixed quickly and the price was very reasonable." Professinal Spa Service has been wonderful helping us maintain our outdoor spa. Paul responds rapidly and follows through with every request. The service is completely professional and reliable. We have been customers of Paul's for several years. He is always cheerful and pleasant -- some one you look forward to seeing as you would a friend. We have found him to be an expert at dealing with the variety of details involved in spa maintenance. He always responds quickly to our calls! Paul Lorraine is a God send, always there when you need him, finds the problem, fixes it and gets us back in the tub. Always prompt and attentive to details of the job request and arrives on time. Courteous, quality, responsible and reasonable professional services for twenty years. Professional Spa Service is always prompt and courteous. The job that is done is excellent. Thank you for being there for us. Service is the foundation of my company. My professional repairs, installations, cleanings, maintenance, inspections and advice provide you with the best spa and hot tub service available. Call me to winterize your spa...it is very involved and should be done by a service professional. Keep your cover clean and protected with 303 Aerospace protectant(available at any marine store). Apply at least twice a year. Do not use on the underside of the cover. Reverse the foam inserts once a year. Do not let children or animals walk or sit on the cover. Install an ozonator and reduce chemical use by 2/3. Keep Ph level between 7.4 - 7.8. Never pollute your water by introducing lotions, oils or bubbles. Replace your cover with a 5 by 4 tapered cover for more insulation. Purchase a floating thermal blanket to greatly reduce evaporation and heat loss. Use blowers sparingly, blowers force cold air into your hot water lowering the temperature rapidly. Do not let Ph drop below 7.0. The spa drain does not drain the pipes completely. The remaining water must be blown or sucked out. Do not let children use small toys in the spa as they could get caught in the pump. Clean your filters once a month. I provide warranty service for many of the most popular spas, hot tubs - Jacuzzi® Whirlpool Bath, Sundance, Keys Backyard, Gulf Coast and Infinity Spas. Is your Spa still in Warranty? What do you need service for? © Professional Spa Service. All Rights Reserved.